During the previous week, the actual Japanese GDP Annualized (Q2) [3.0%] was higher than the expected [2.6%], as a result, the pair continued its downtrend. 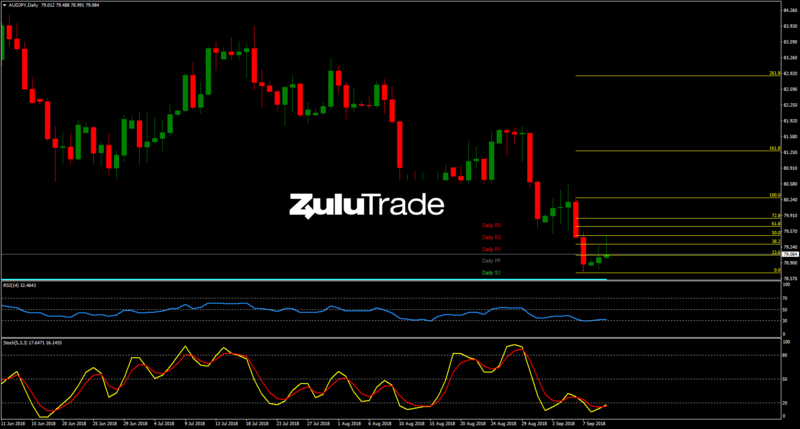 Currently, AUDJPY is oversold, according to RSI and SO. The overall pressure has been remained to the downside since last September, while the pair recorded a new year’s low during the previous week. Heading to H4 timeframe, buyers still hold well since the beginning of the week. At the moment, the pair finds support at the Pivot Point, which comes in confluence with Fibonacci’s 23.6% level. 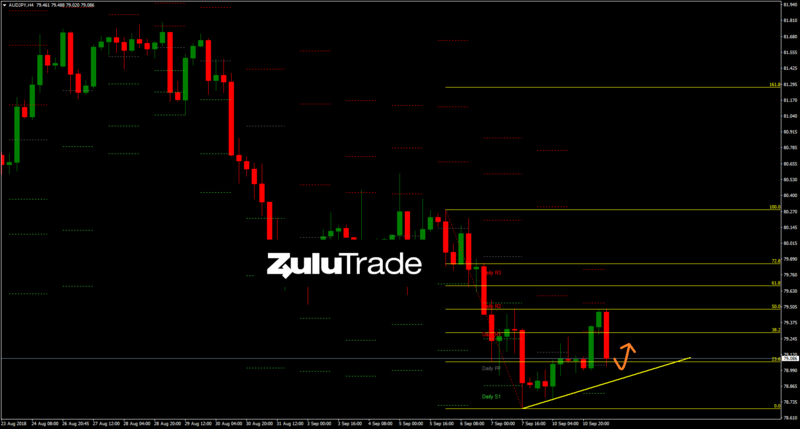 As long as the price remains above the upward trendline, then there is a potential bullish trade setup. On the other hand, if the price violates the trendline to the downside, then the scenario will be busted. Today's agenda is not having major AUD or JPY new, however we do expect Australian Westpac Consumer Confidence (Sep) around midnight.